We love those old horror movies from the late 1970s and early 1980s; the slasher films, the monster-from-outer-space films, the zombie films. What we especially love are the soundtracks. The really low-budget, simple scores that eschewed live orchestras in favor of banks of analog synthesizers and were often composed and performed by the director himself. And we love to use those soundtracks in our games. But invariably, we’ll cue up a track from one of these films to underscore a dramatic moment and realize that the players were thinking less about the game – and more about the movie the music came from. So we decided to create our own awesome 80s horror movie music. As fate would have it, we do have a few vintage analog synths in our studio (including an old Moog Rogue and a Roland Juno 106), so we fired them up and started playing. 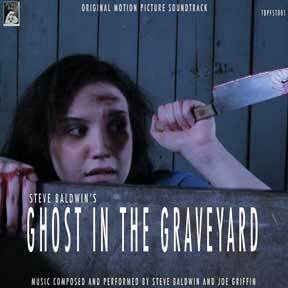 The result is the “Ghost in the Graveyard” soundtrack album: nine dark, moody music pieces performed on classic analog synths in the style of those fantastic 80s horror flicks. There’s no movie, of course, just a bunch of cool music. But we kinda didn’t let that stop us. Just for kicks, as we were mastering the album, we also rounded up a couple of local actors and shot fake trailers and opening credits for the movie that doesn’t exist. 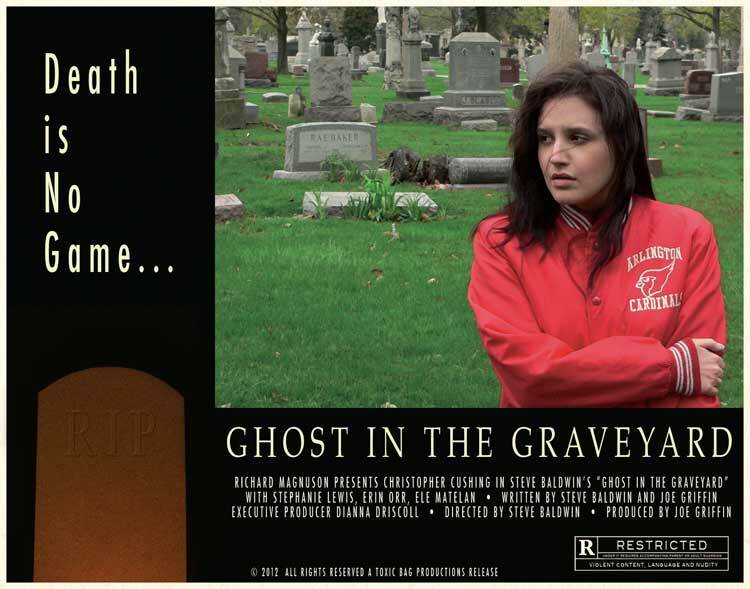 Ghost In The Graveyard Trailer #1 from Toxic Bag on Vimeo. Clearly, we had a lot of fun working on this project. We hope you enjoy it as well. You can see the trailers at our YouTube and Vimeo pages, and buy the soundtrack at Toxic Bag dot com or DrivethruRPG. Special thanks to Stephanie Lewis, Alan Vuchichevich and Ele Matelan for their great work on the trailers!